What is the shortest possible route for a traveling salesman seeking to visit each city on a list exactly once and return to his city of origin? It sounds simple enough, yet the traveling salesman problem is one of the most intensely studied puzzles in applied mathematics--and it has defied solution to this day. 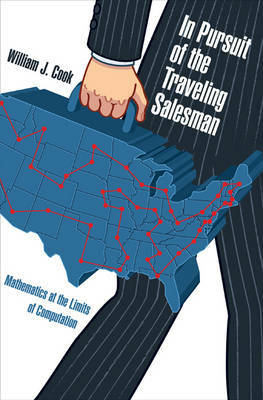 In this book, William Cook takes readers on a mathematical excursion, picking up the salesman's trail in the 1800s when Irish mathematician W. R. Hamilton first defined the problem, and venturing to the furthest limits of today's state-of-the-art attempts to solve it. He also explores its many important applications, from genome sequencing and designing computer processors to arranging music and hunting for planets. In Pursuit of the Traveling Salesman travels to the very threshold of our understanding about the nature of complexity, and challenges you yourself to discover the solution to this captivating mathematical problem.